Looking for a great way to convert videos for use on any platform (i.e iPad, iPhone)? Then I encourage you to check out the limited time free download giveaway from Wondershare! As one of the leading software company, Wondershare has already expanded the international business to 160+ countries nowadays. In order to show our appreciation to all of our users and customers, we’ll like to hold a Unlimited Giveaway of Wondershare Video Converter Pro for Windows From Jan. 22nd to 24th visit this link, input your name and email address, get the lifetime code immediately without any cost. The Video Converter Pro for Windows easily helps to convert your media files with high compatibility in just a few steps. Download the free trial version, if you’re still new to it. It also composes of editing function, which is good for simply trim or crop your videos and preview it in real-time. Other than that, just download your favorite online videos from youtube or vimeo by copy and paste the video’s link. 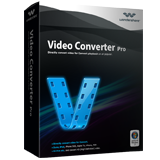 Convert video/ audio to almost all popular formats. Enjoy videos on all Apple devices, iPhone 5S/5/5C included. Edit videos using trimming, cropping, rotating, adding effect, watermark, subtitle etc. Download online videos with one copy-n-paste. Enrich your iTunes library with the retrieved metadata. You’ll be able to save at least $30 during the 3 days unlimited Giveaway campaign, so hurry up to grab one today! Runs 1/22/14 - 1/24/14.